David Evans received a Drama Desk Nomination for his score for Off-Broadway’s BIRDS OF PARADISE (written with Winnie Holzman and directed by Arthur Laurents). He has written nine musicals for Theatreworks USA and two musicals for TADA. His show, CHILDREN’S LETTERS TO GOD (Lyrics: Douglas Cohen, Book: Stuart Hample) recently finished an Off-Broadway run and can be seen in various venues around the country and abroad. 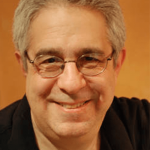 He has written songs for several hit Off-Broadway revues, including A… MY NAME IS ALICE, and for several television shows, including SESAME STREET and SQUARE ONE TV. Film scores include THE COUNTRY MOUSE AND THE CITY MOUSE for HBO and JAZZTIME TALE for PBS.An accomplished musical director and pianist as well, his Broadway credits include WICKED, and recent revivals of FLOWER DRUM SONG and BELLS ARE RINGING. Also, MARIE CHRISTINE and HELLO AGAIN at Lincoln Center, Off-Broadway productions of HELLO MUDDAH, HELLO FADDUH and AS THOUSANDS CHEER, and many shows at prominent regional theaters around the country, including The Goodpeed Opera House and The Sacramento Music Circus.